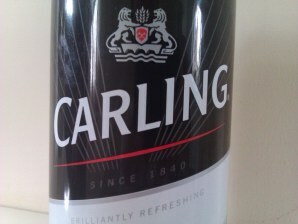 Carling in the U.K. changed the label on the can in 2011. Thanks to Stephen Borman for the pic. 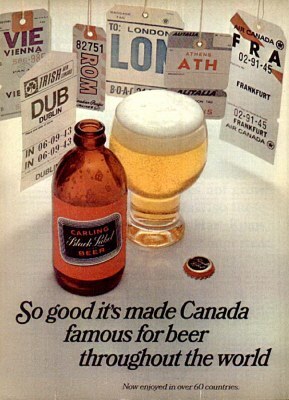 While only selling a fraction of the beer that was sold in its heyday here in the US, Carling Black Label continues to have tremendous success in other countries. 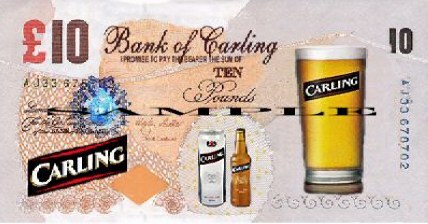 Carling is still the number one seller in the UK and a top seller in Ireland. 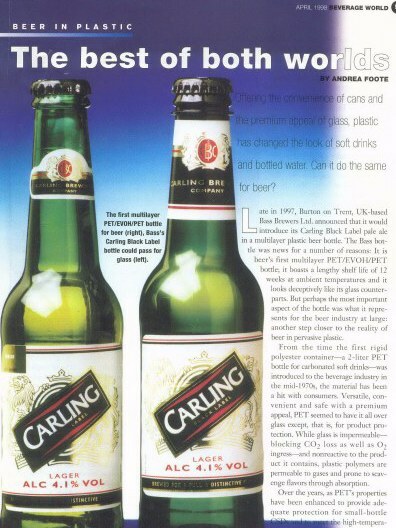 As of August of 2002,Carling is now the #1 seller in South Africa, passing Castle Lager. According to South African CBL fan Bradley Booysen, the slang term for CBL is "zamaleks", which means "Quick Charge"
Click on the above image to go to the Carling UK web site. Today's Carling in the UK...as popular there as Bud is here in the USA!. This is one of the Carling breweries in the U.K. At first a Bass brewery, It was bought by Belgian brewer Interbev and is now called Coors Brewers Limited. 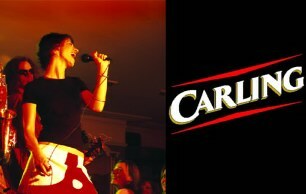 To view Carling television commercials from the UK, go to back to the Hey Mabel Black Label.Com ! page . 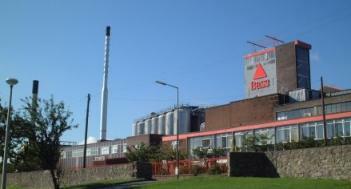 In Ireland, Carling is brewed by Beamish & Crawford at the "Cork Brewery". 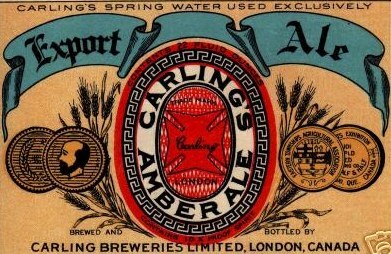 This brewery was bought by Carling-O'Keefe in 1962. 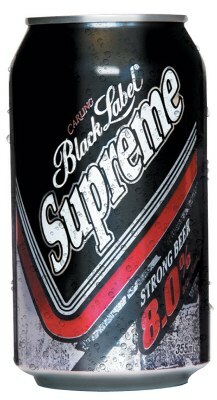 Carling Black Label Lager was first brewed there in 1964 and today is the #2 selling lager behind Harp. In 2003, Coors Brewers Limited announced that they will be investing over $35 million at its brewery at Burton on Trent to increase capacity, improve productivity,efficiency and flexibility. When completed, another million barrels a year will be added to further reinforce the brewery's position as the largest brewery in the UK. Also in 2003, Coors Brewers Limited is rolling out "Carling Extra Cold", a new version of Carling intended to attract more consumers. 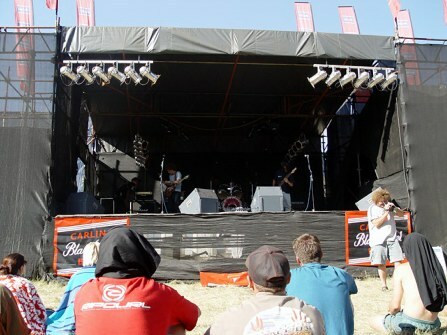 Did you know that Carling Black Label was one of the first beer brands to be successfully marketed in plastic bottles? 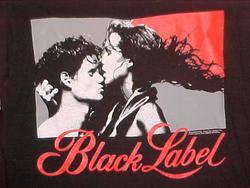 Carling Black Label in Canada is brewed by Molson which bought out Carling-O'Keffe in the '70's. Not as big of a seller as it used to be, but experiencing a renewed growth and popularity among the younger beer consumer. 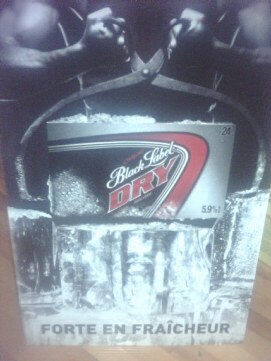 NOTE: If you look at the can above, you will notice that the packaging looks a lot like the Molson Ice packaging of a few years ago here in the U.S. . Molson Ice was actually "Black Ice" in Canada, a Carling family brand. Current Canadian advertising theme. 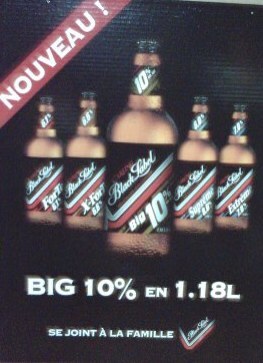 Translates to " Deliver us from Good"
Some current advertising pieces for Carling Black Label varieties in Canada. The above are some marketing scans coutesy of Doug Shaw. In July of 2004, Coors Brewing Company and Molson Breweries announced that they will merge together to form the world's fifth largest brewery. 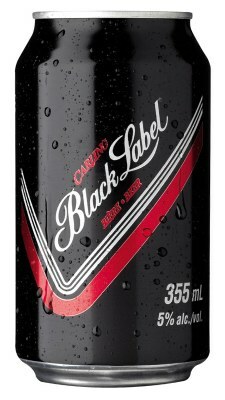 Hopefully this will be a good move and will help grow the Carling Black Label brands. Time will tell!